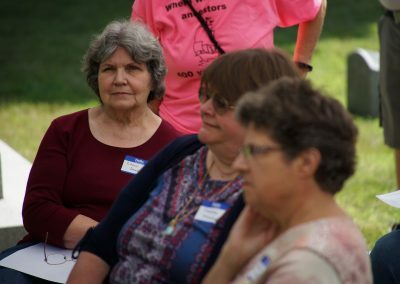 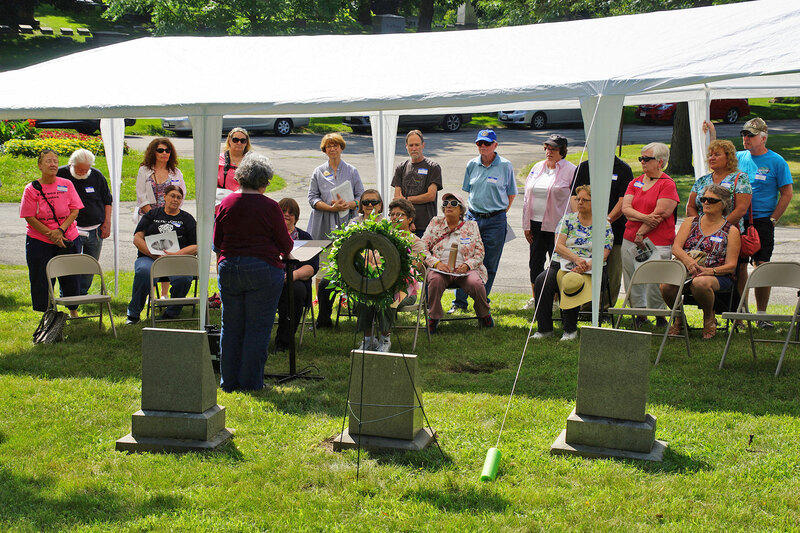 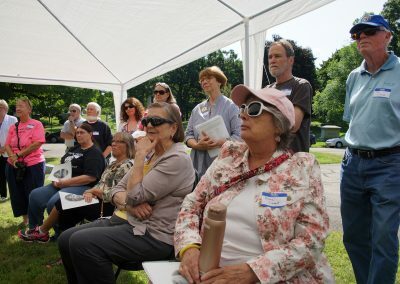 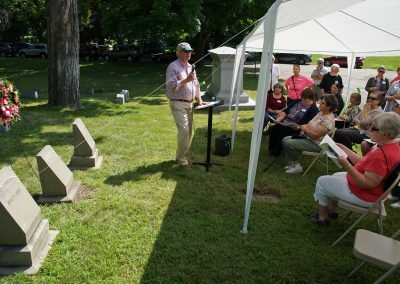 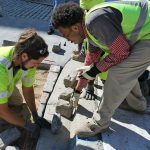 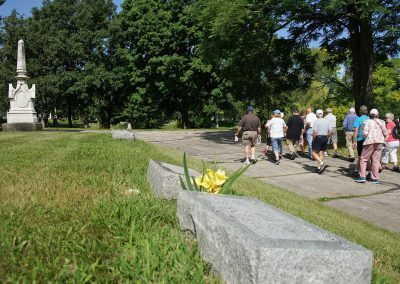 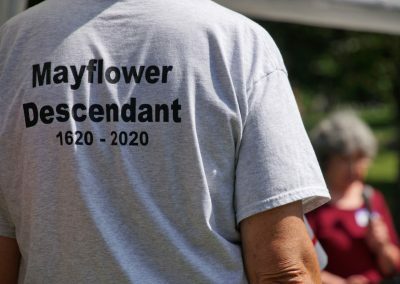 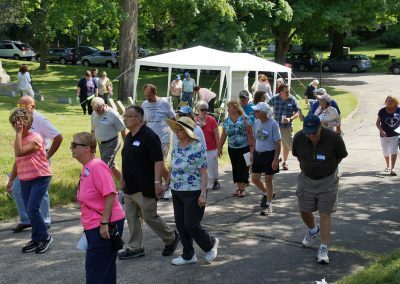 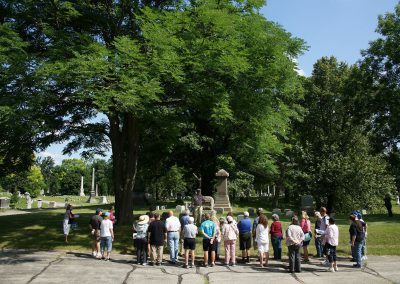 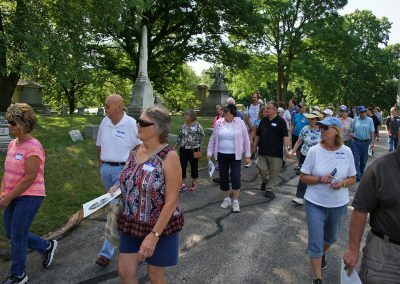 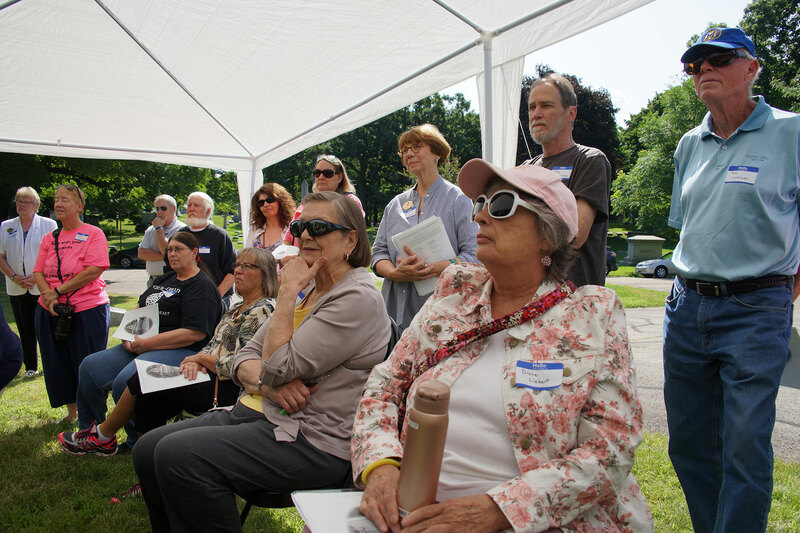 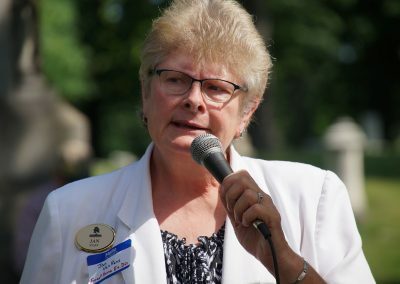 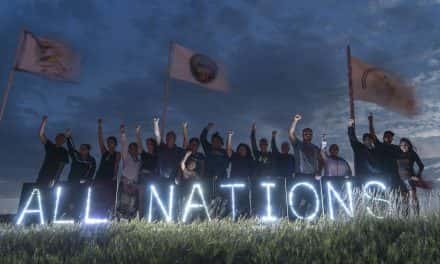 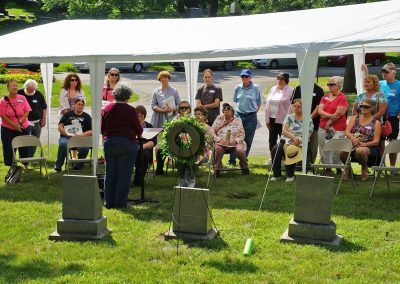 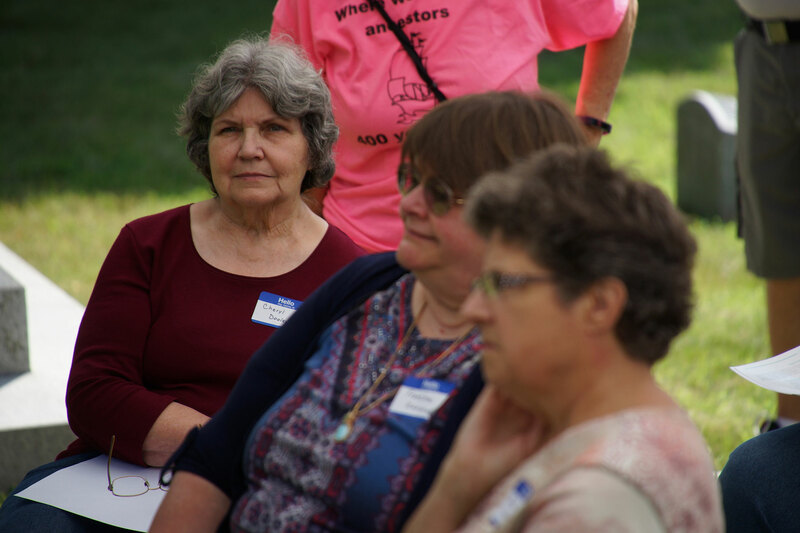 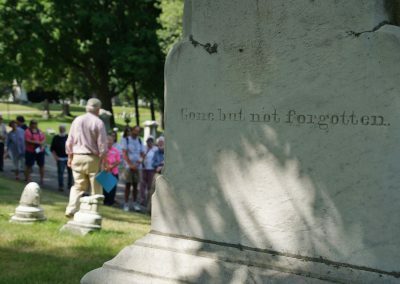 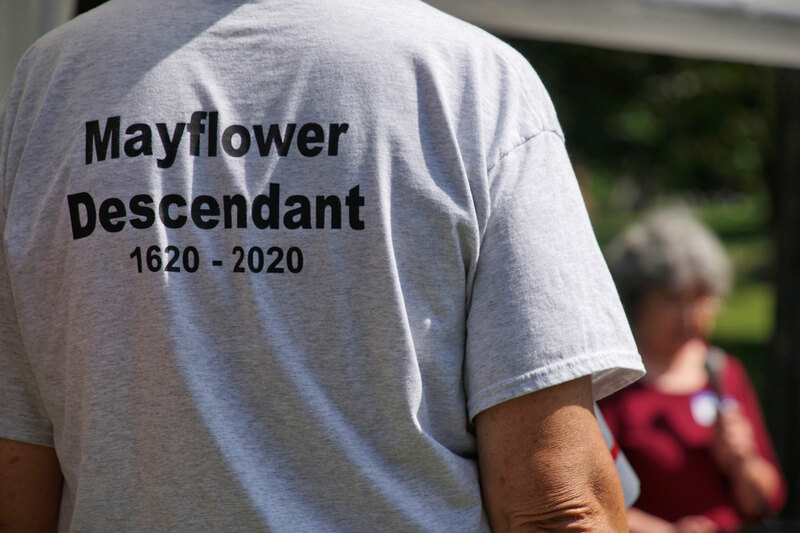 Several dozen associates of the organization founded by people who can trace their ancestors to the Mayflower, the famous English ship that brought Puritans – known today as Pilgrims – to the New World in 1620, visited their charter members buried at Forest Home Cemetery on July 28. 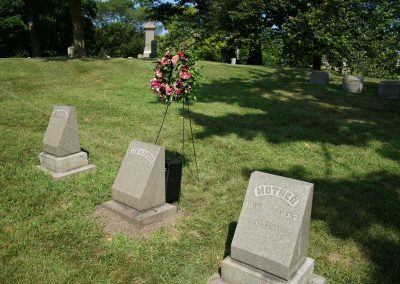 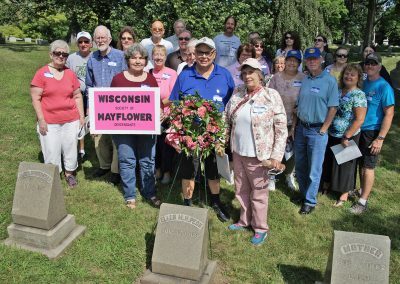 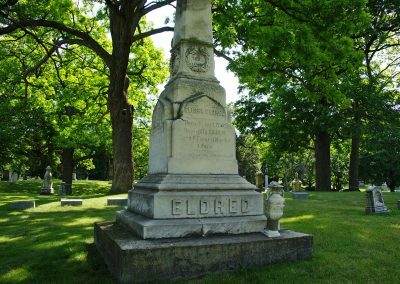 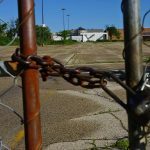 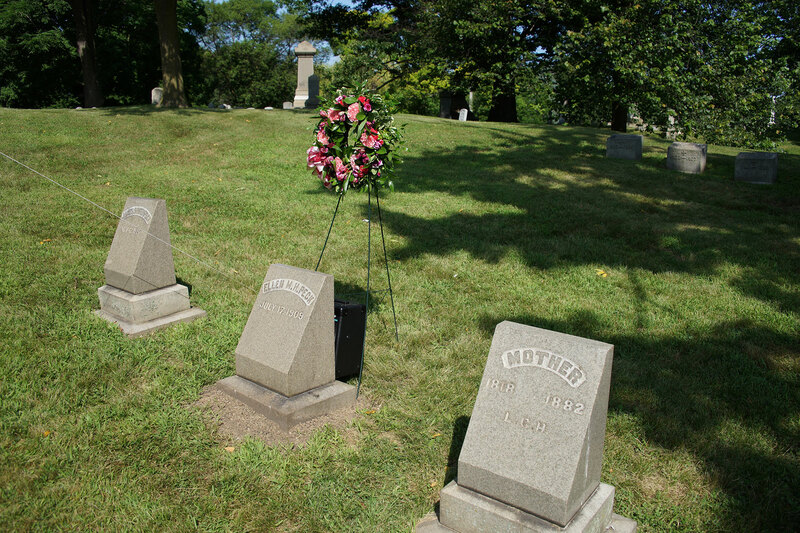 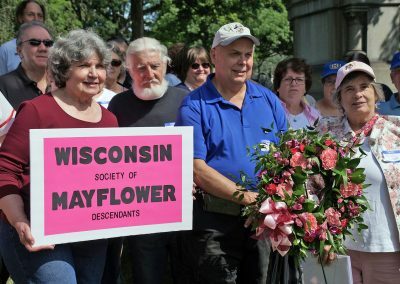 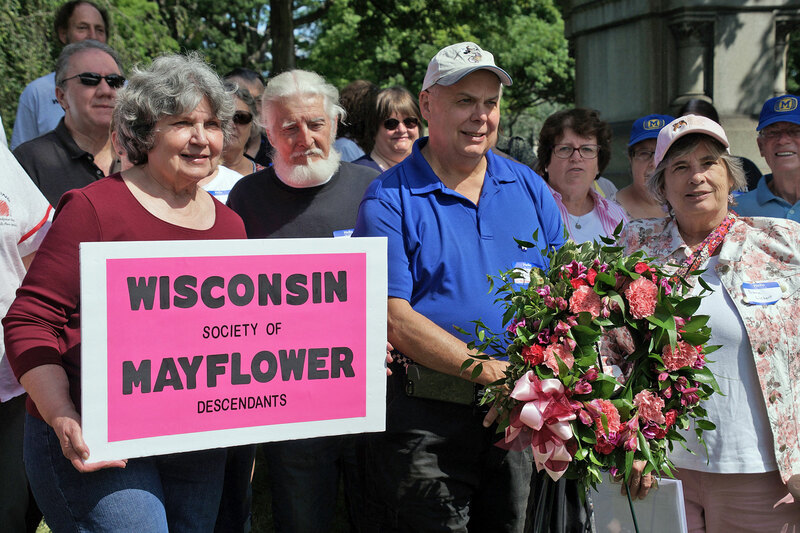 Of the 29 original founding members from the Society of Mayflower Descendants in the State of Wisconsin, 11 are buried in Forest Home Cemetery. 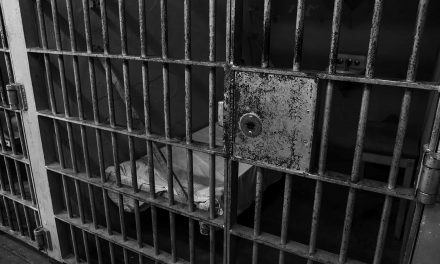 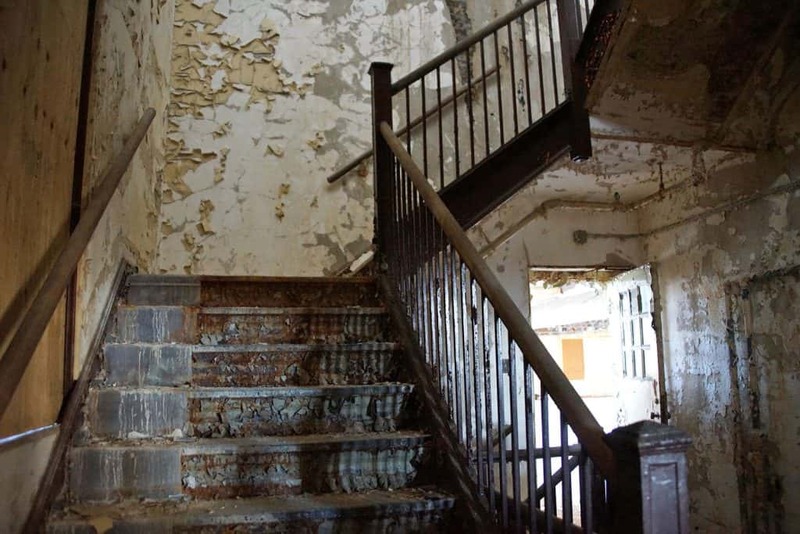 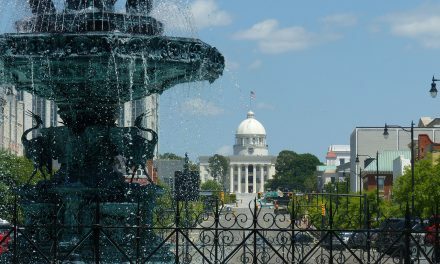 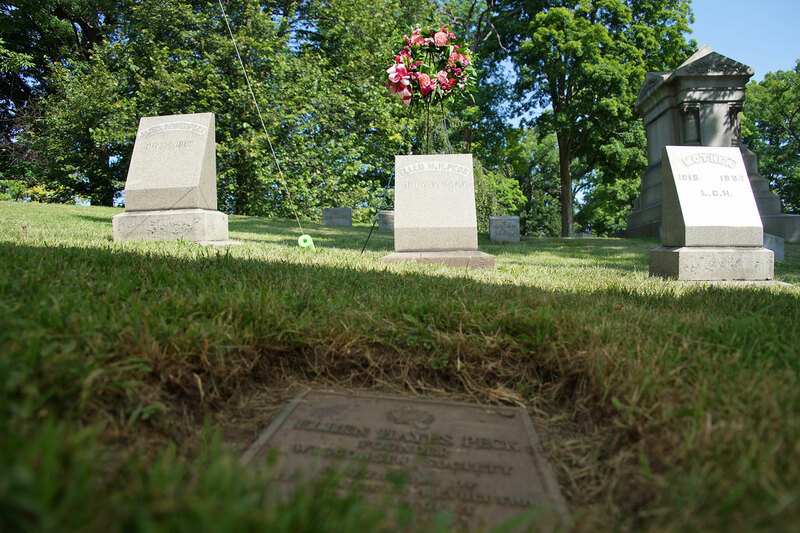 In addition, 7 of the organization’s governors have been interred there since 1901. 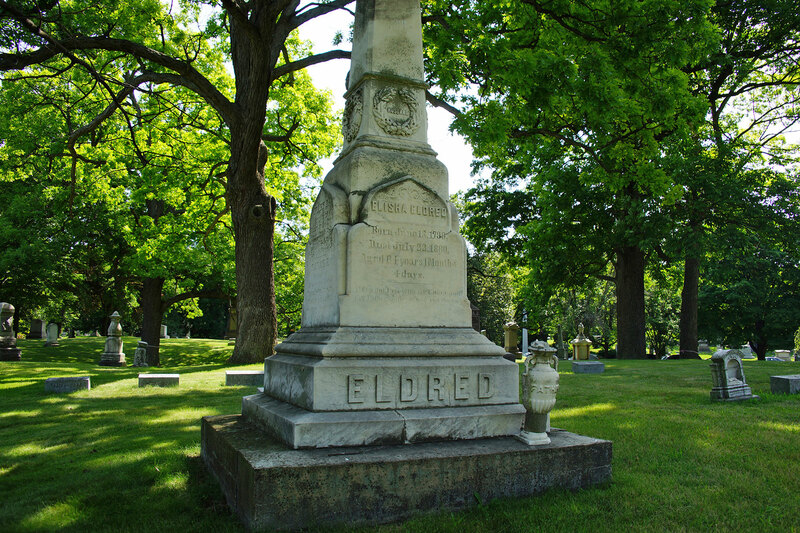 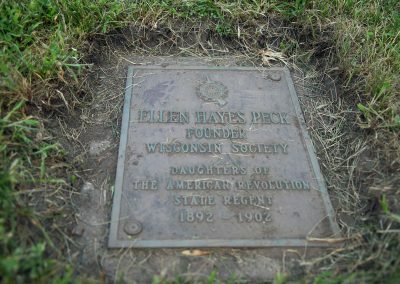 A wreath was placed at the grave of Ellen M. Hayes Peck (1838-1909) as part of the ceremony. 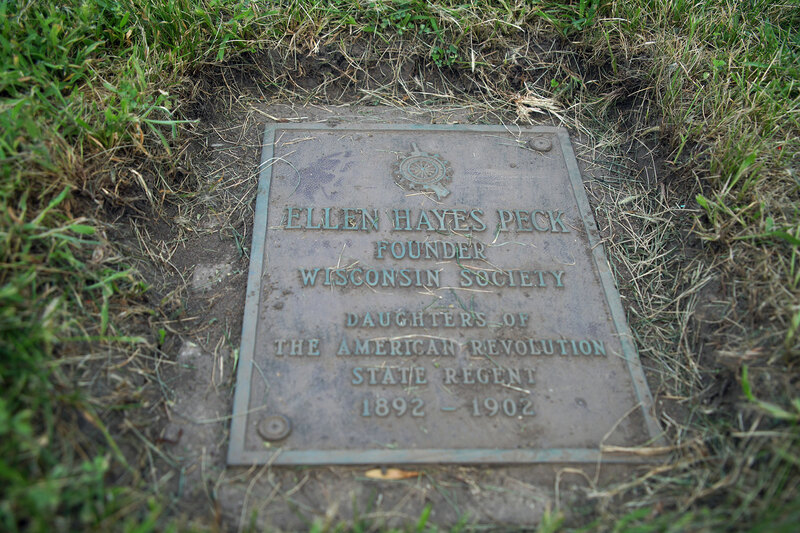 In addition to being one of the founders and the first governor of the Mayflower Society, Ellen Peck organized the Daughters of the American Revolution in the state of Wisconsin and became their first regent. 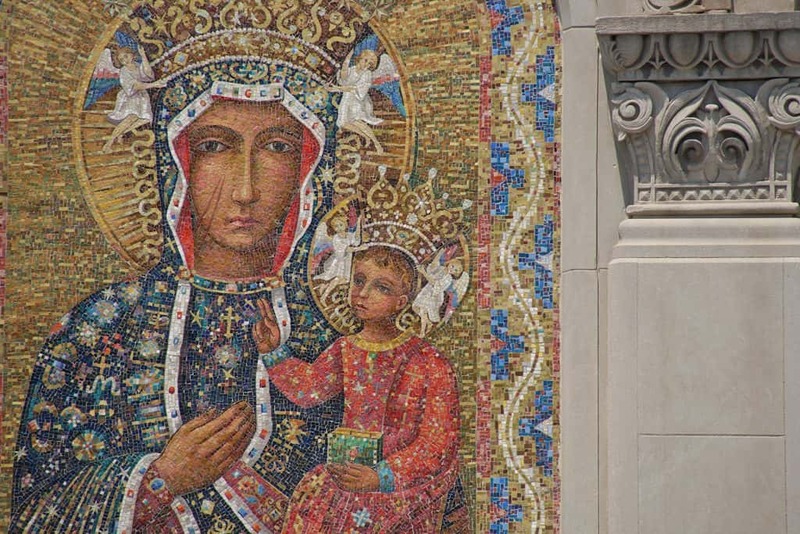 Her portrait is displayed in the DAR building in Washington DC near the White House. 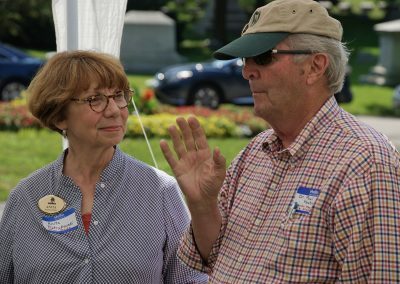 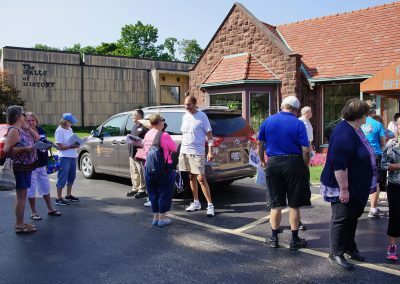 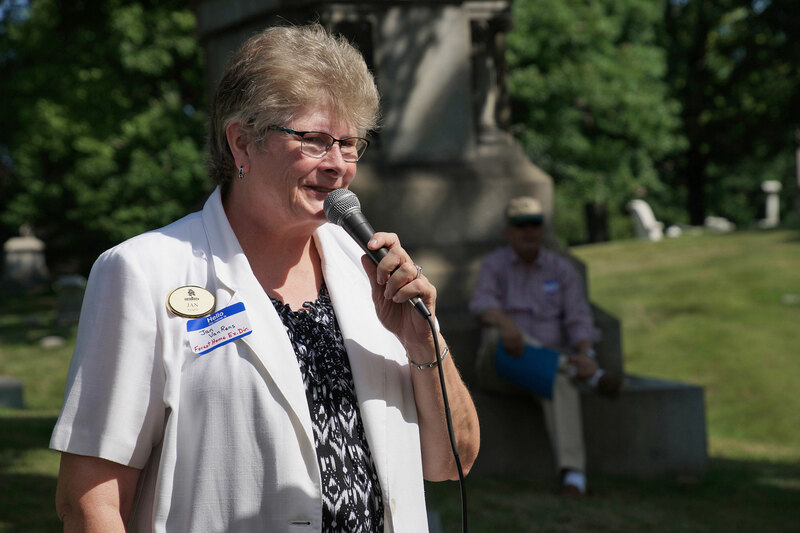 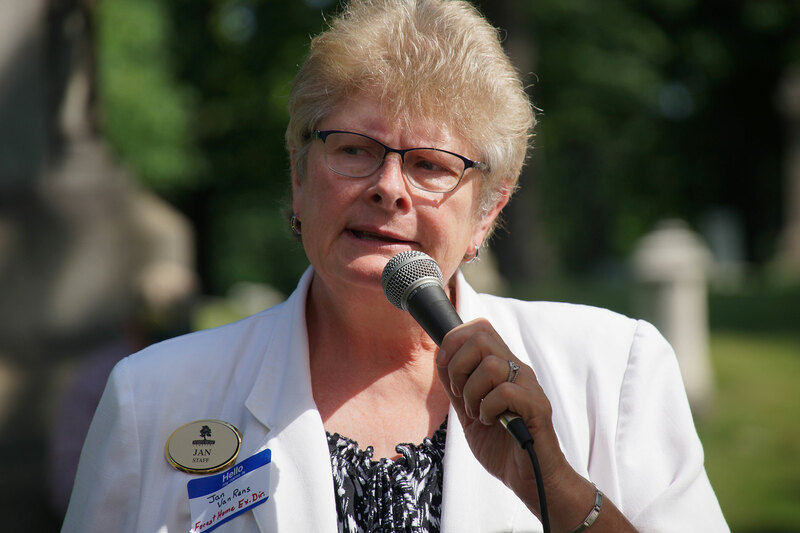 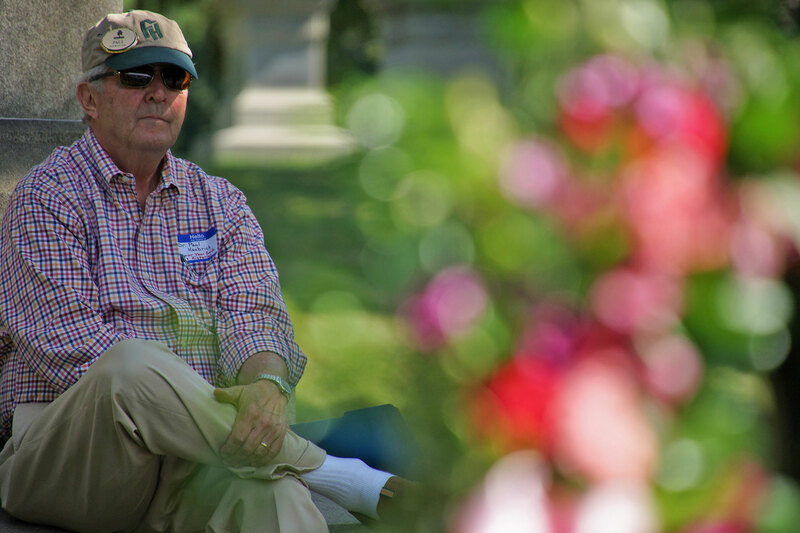 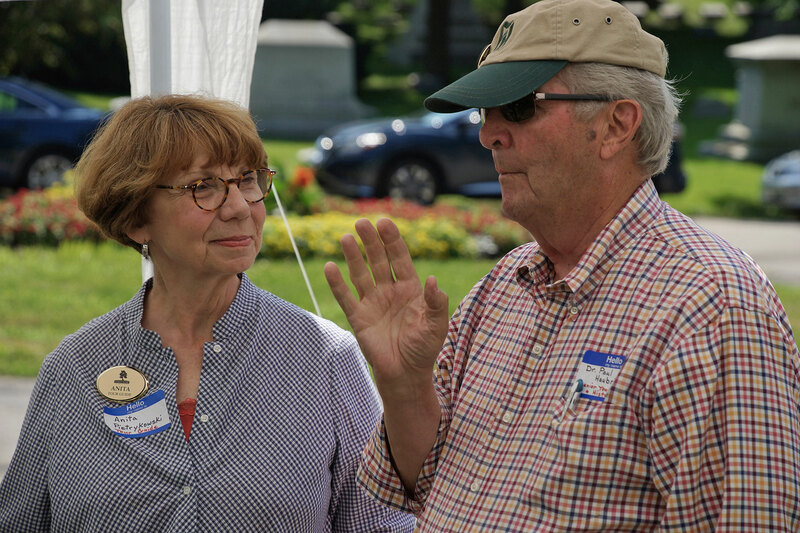 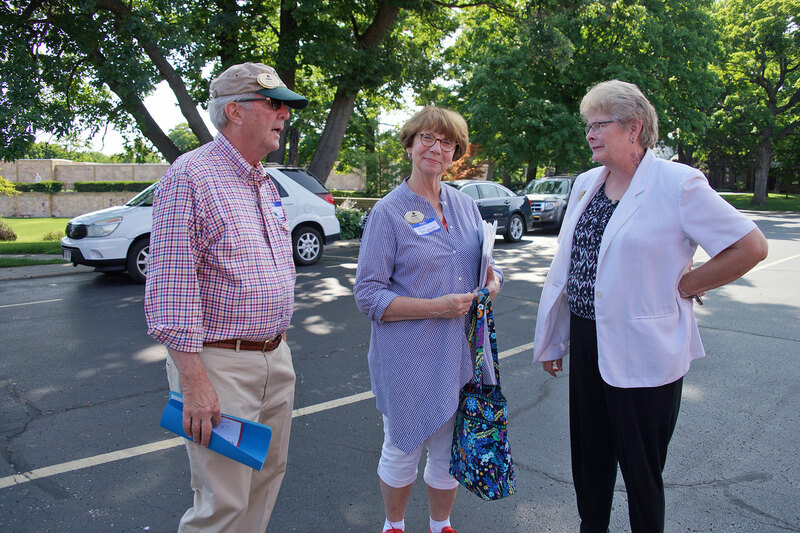 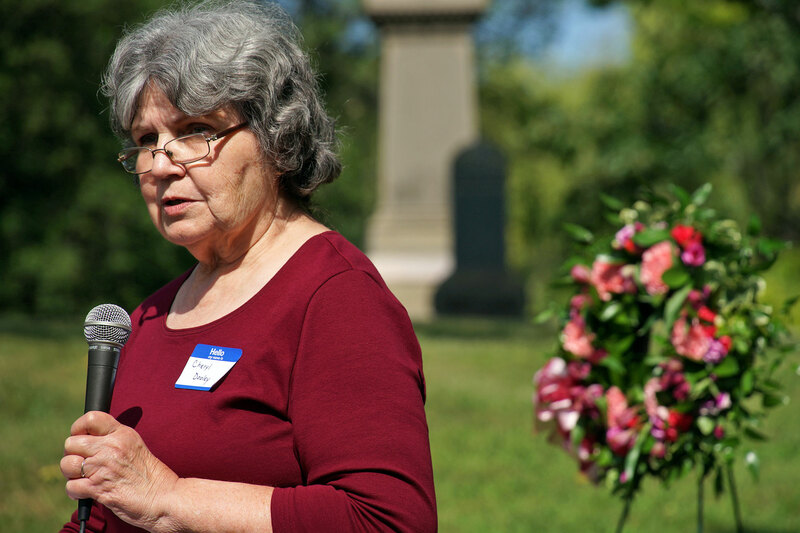 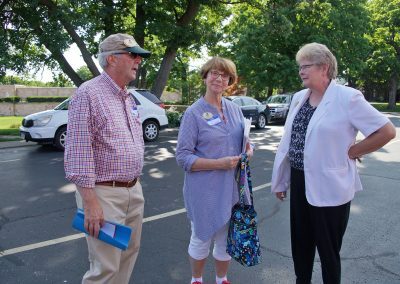 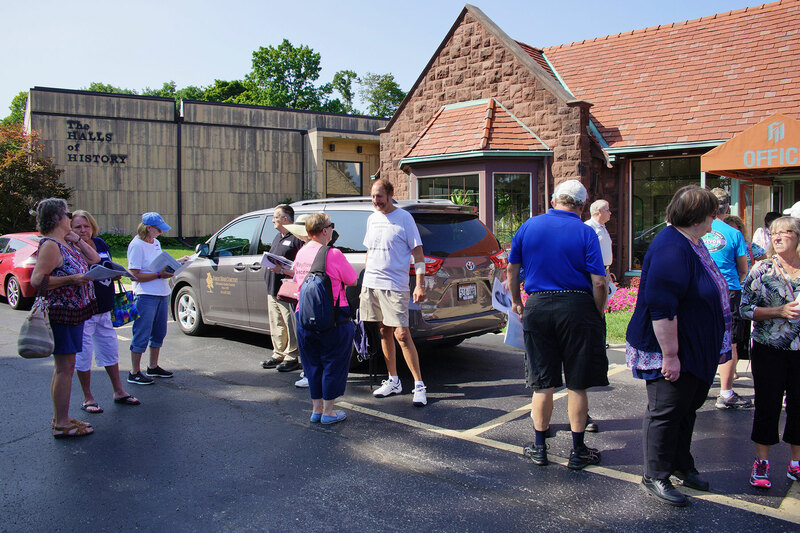 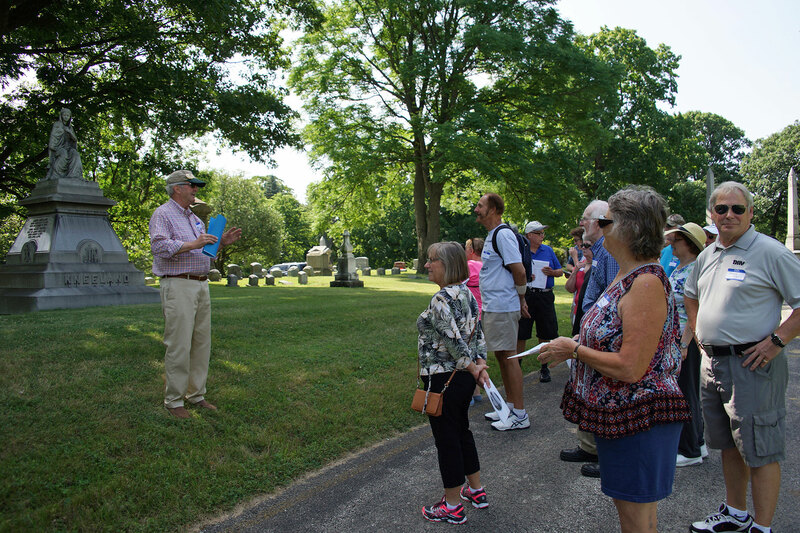 Jan Van Rens, Executive Director of Forest Home Cemetery, and tour guide Anita Pietrykowski worked with Dooley, who helped organize the chapter’s summer outing. 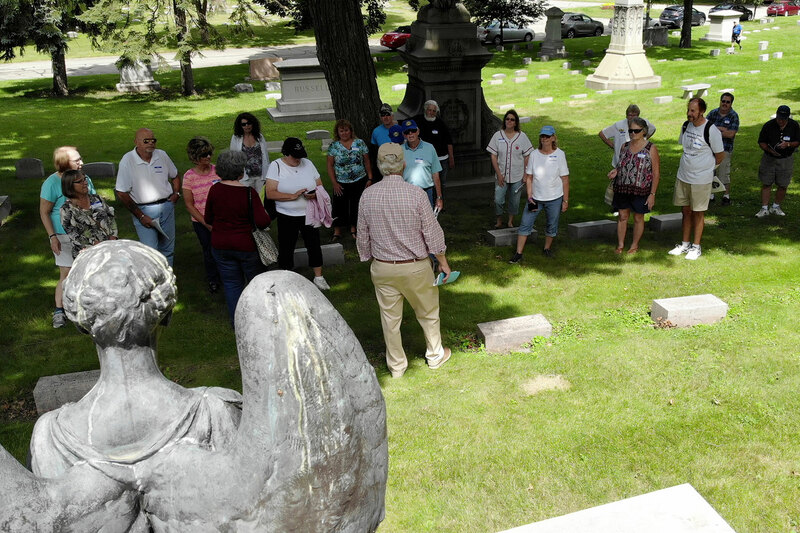 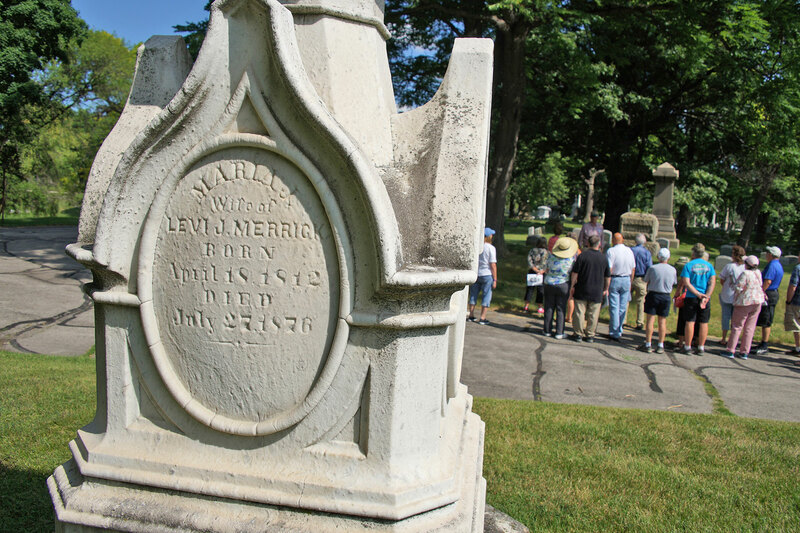 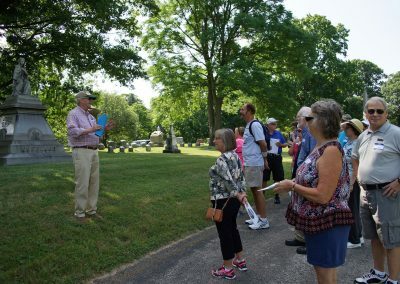 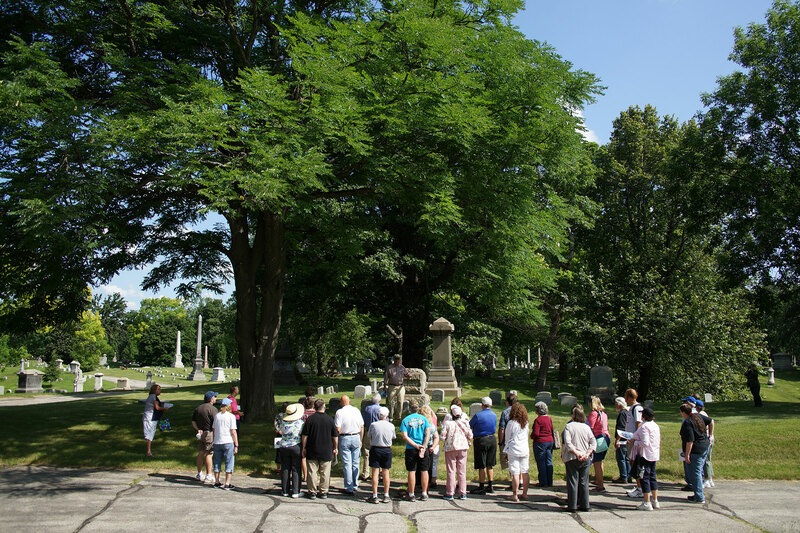 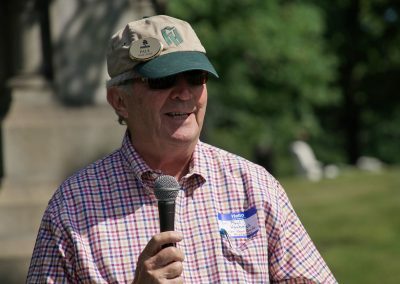 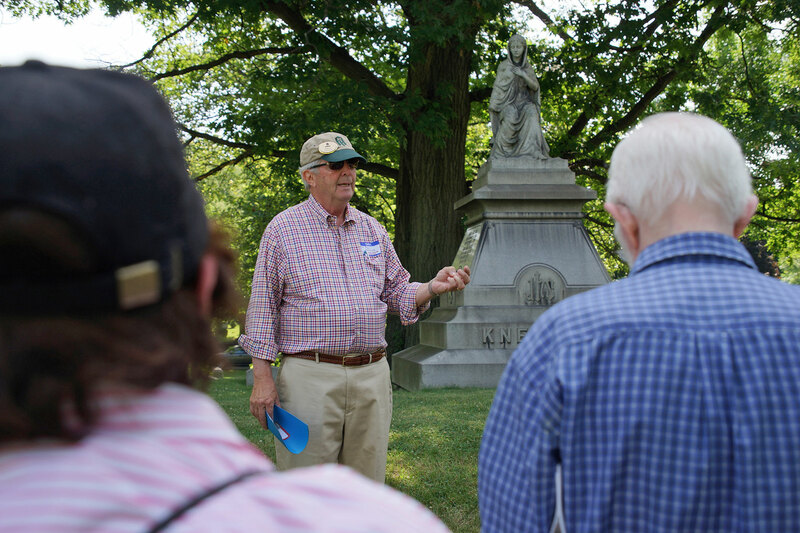 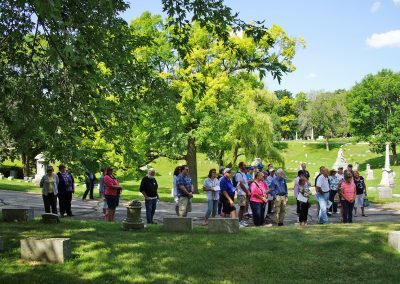 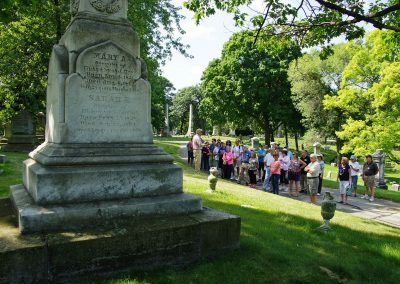 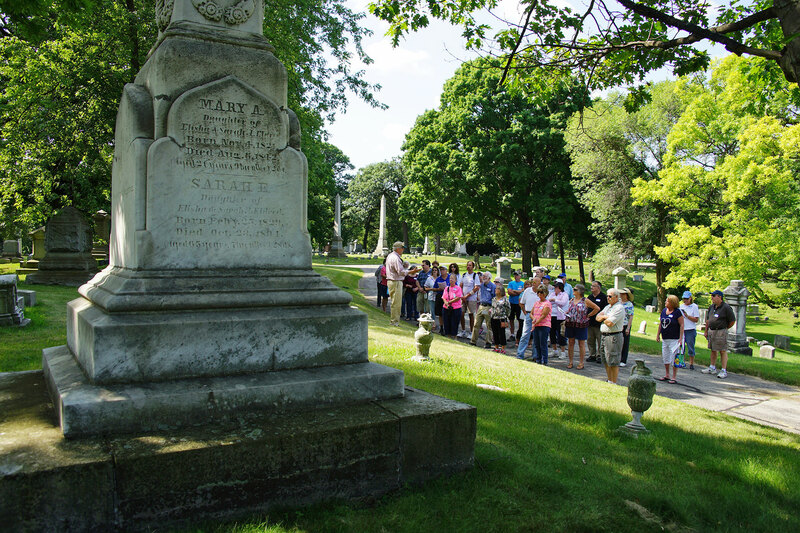 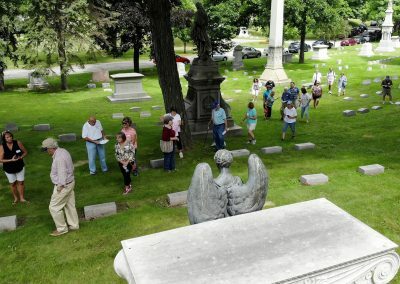 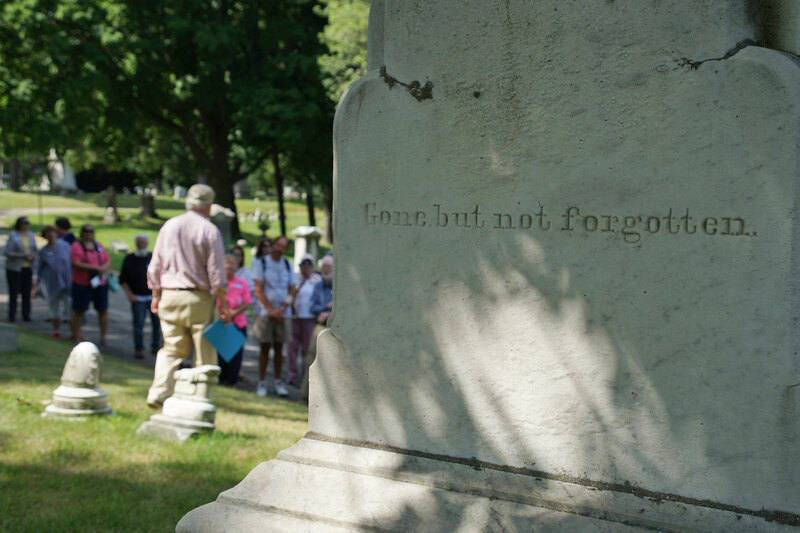 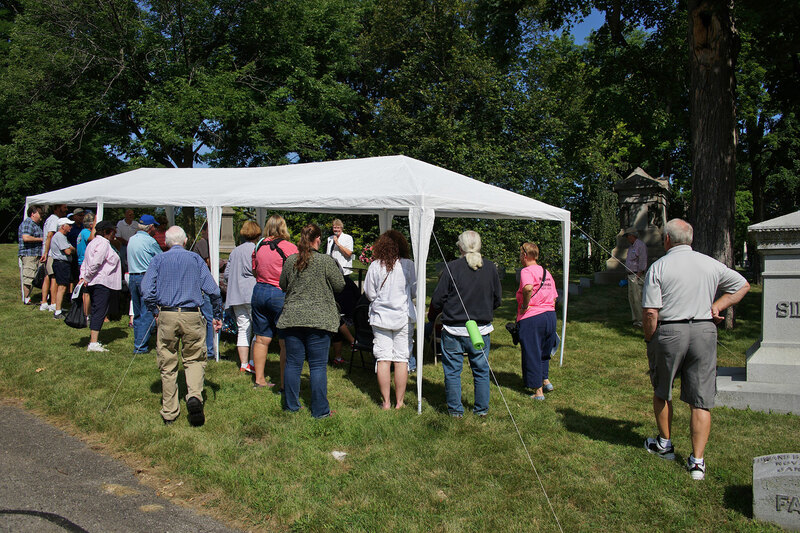 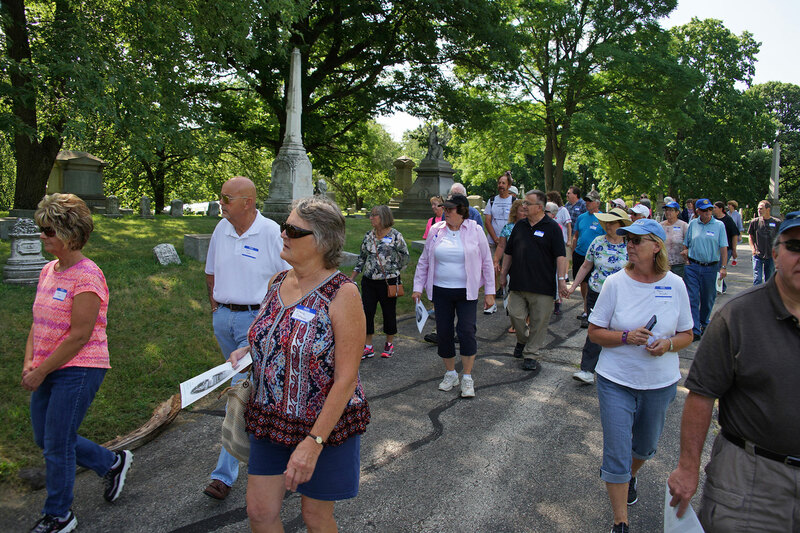 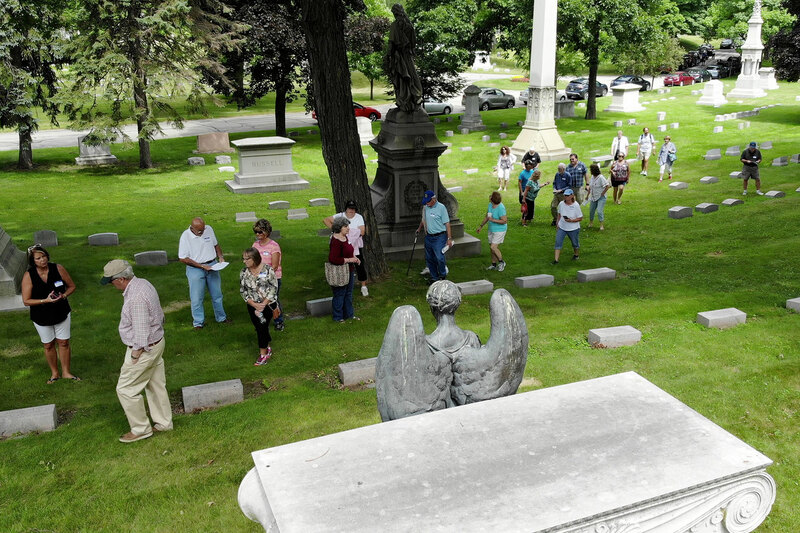 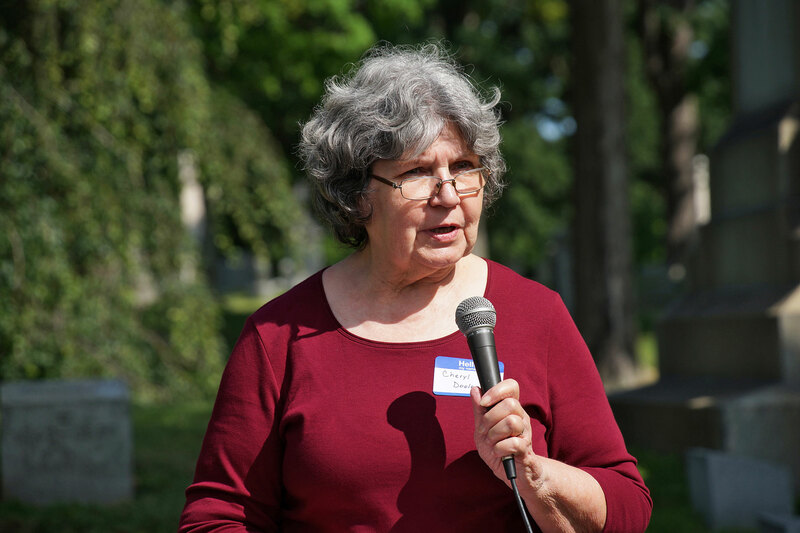 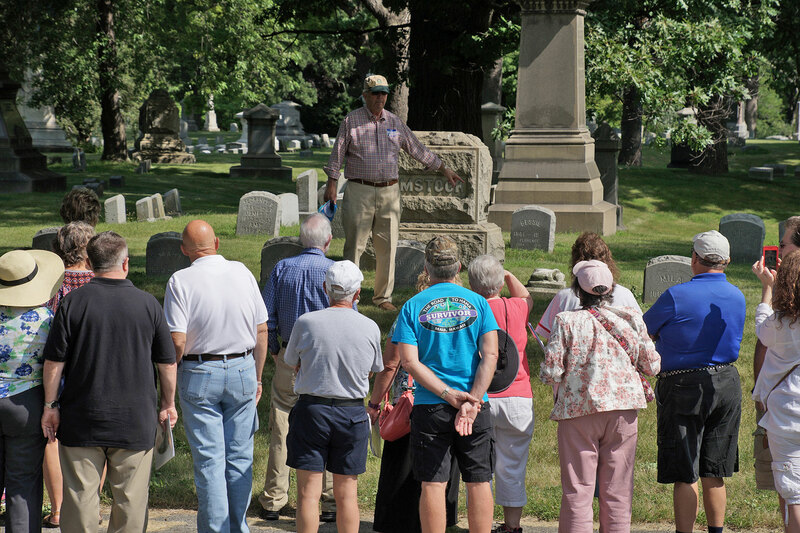 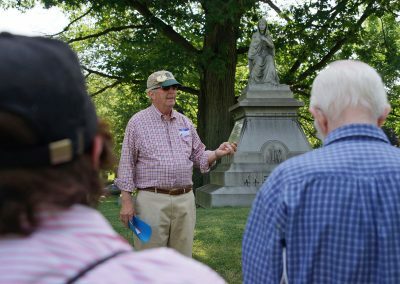 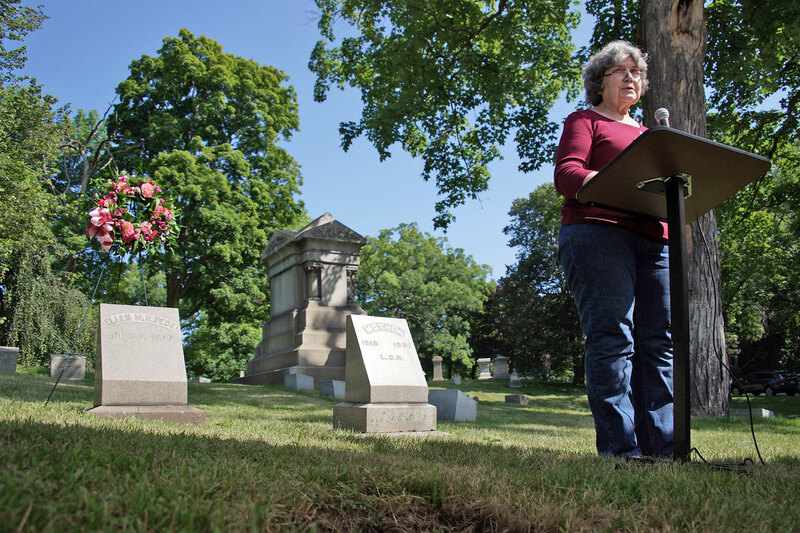 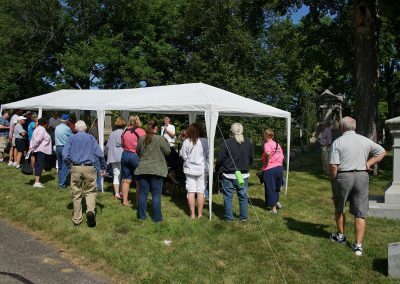 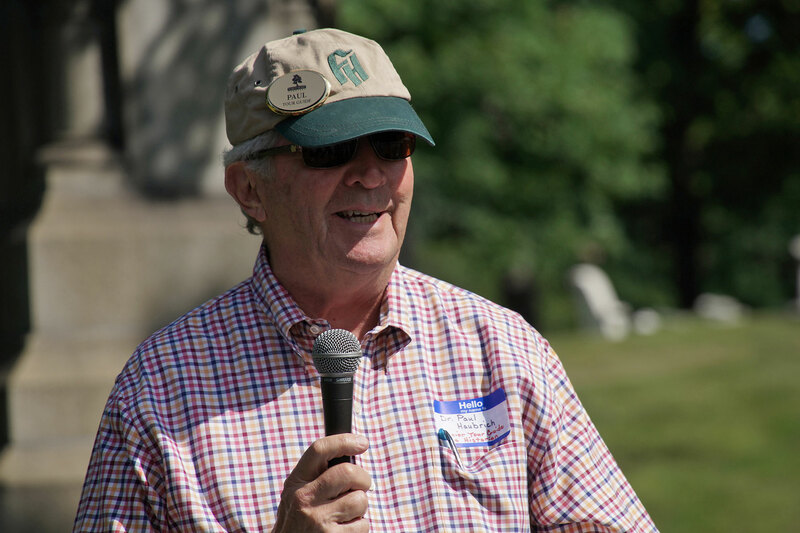 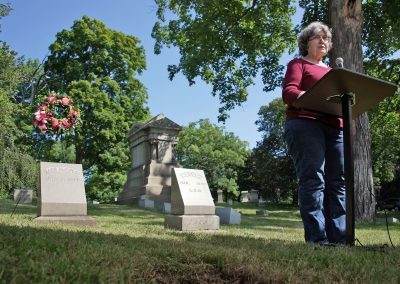 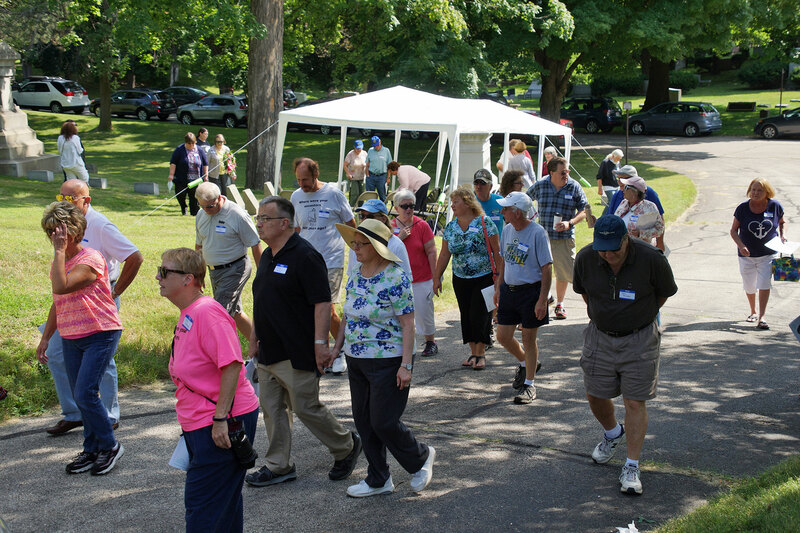 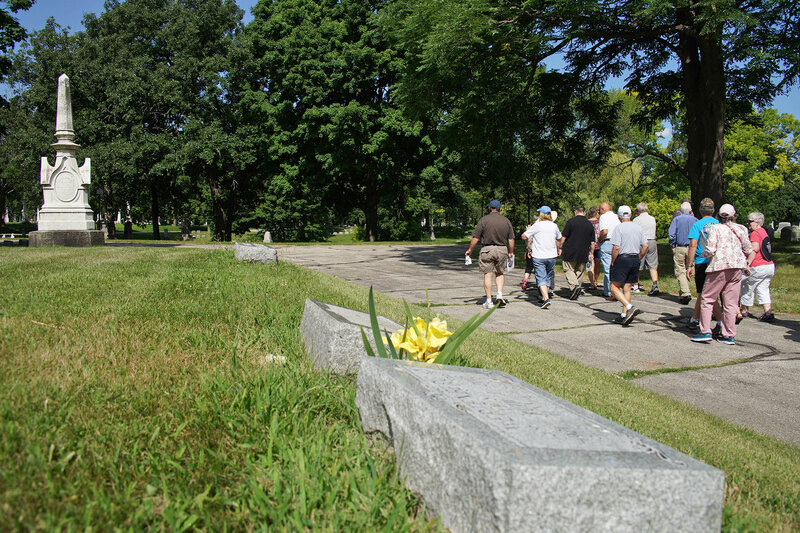 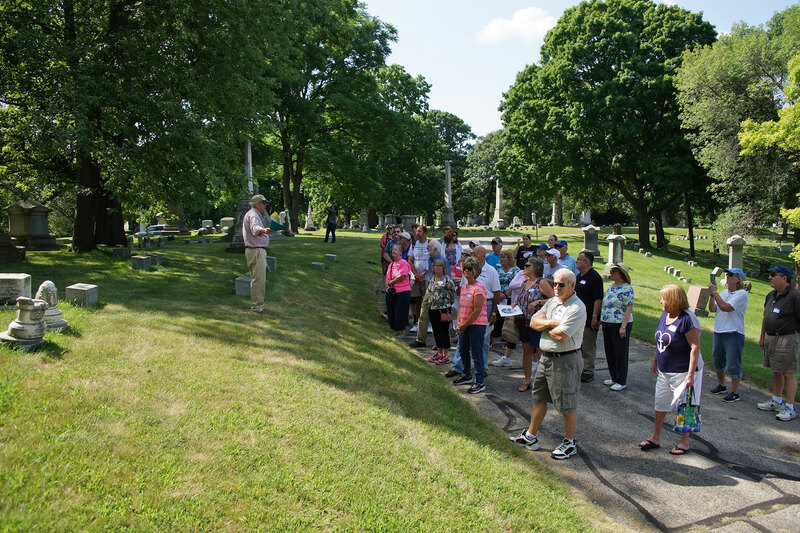 Dr. Paul Haubrich, a local historian, led the group on a special tour that highlighted several of the early members and governors of the Society, and provided in-depth information on the people buried there. 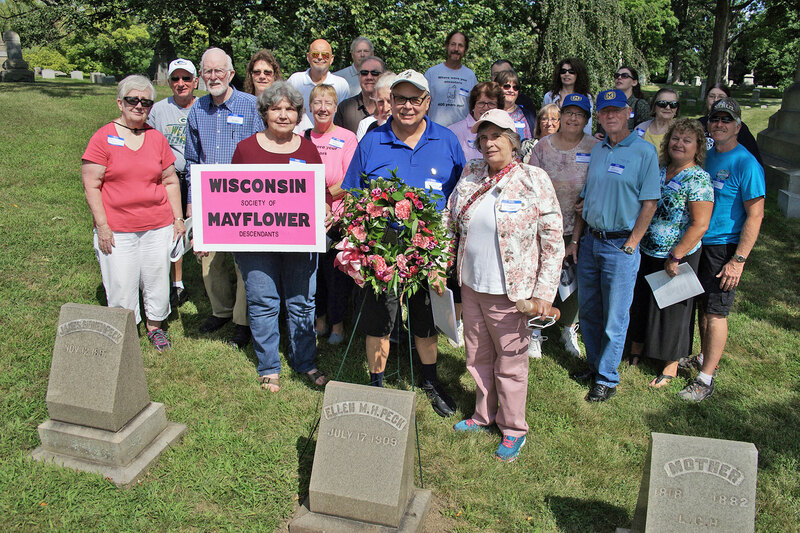 The Mayflower Chapter’s 6th governor, Alice Greenwood Chapman, is buried at the site of the Chapman Family’s bronze angel, which was designed by the famous sculptor Daniel Chester French who also designed the sitting Lincoln at the Lincoln Memorial in Washington DC. 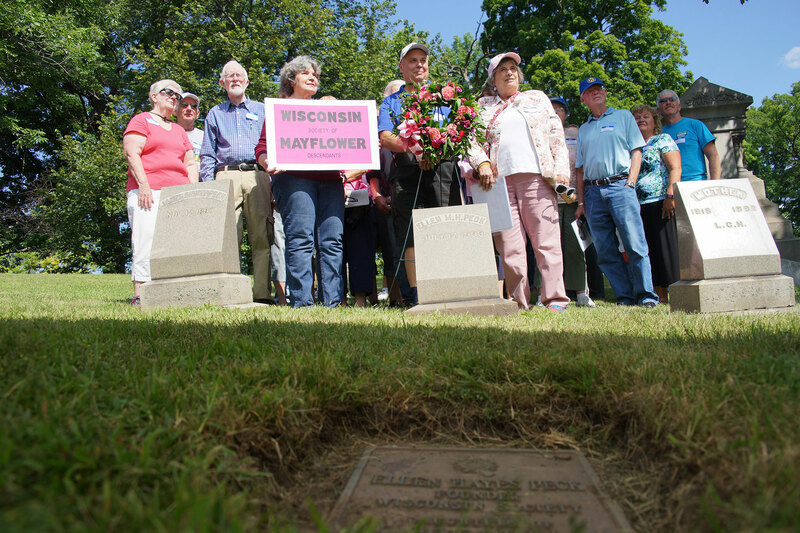 After the tour by Dr. Haubrich, board and members voted to place a bronze Mayflower Descendant grave marker on Peck’s headstone, pending approval of family members. 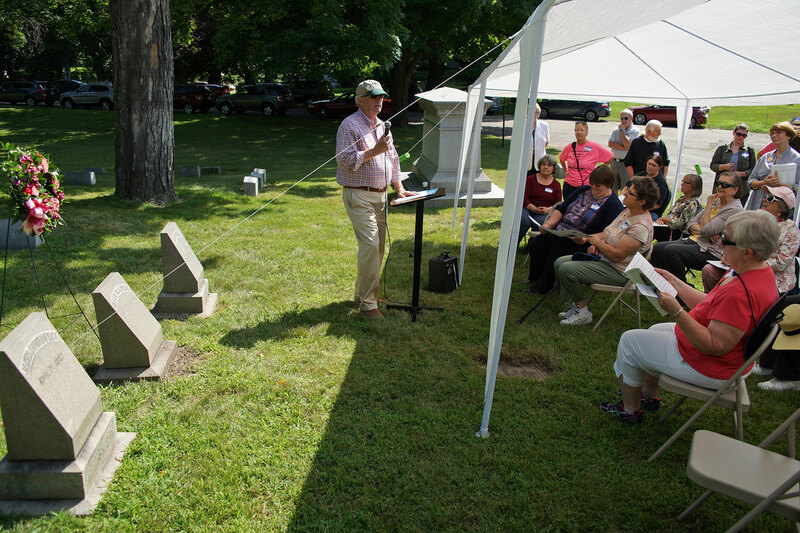 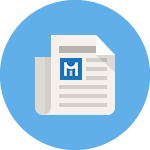 The audio segment was recorded live during the member presentation, and includes condensed historical information. 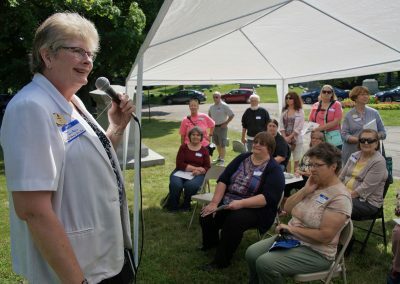 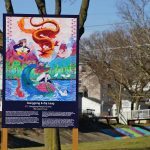 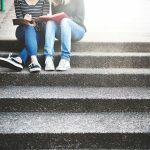 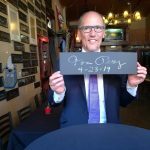 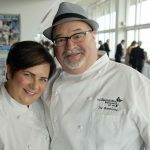 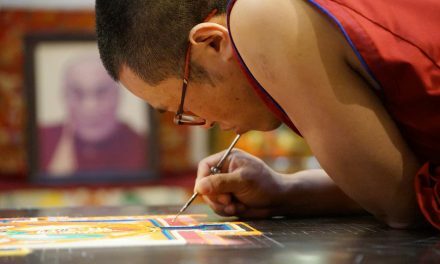 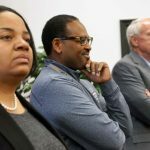 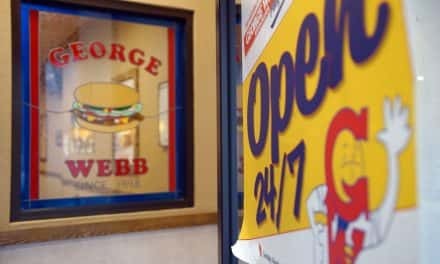 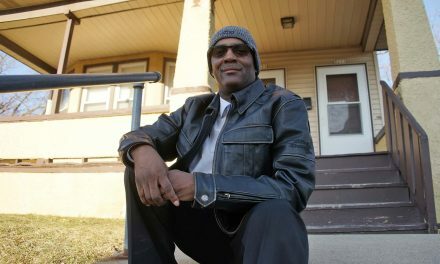 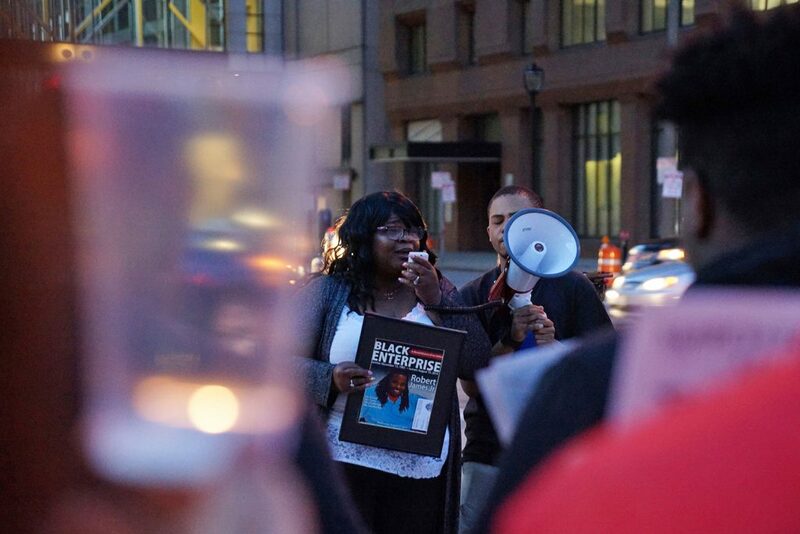 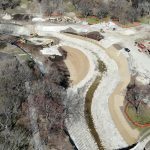 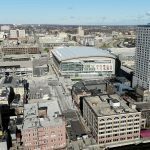 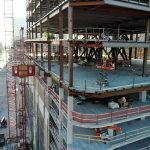 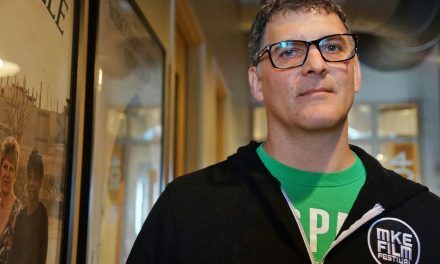 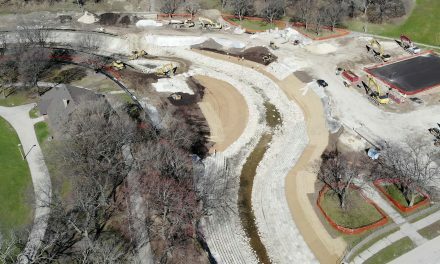 The images captured highlights from the special event.